Just Jussi: New design tuesday - Baby basics contest! New design tuesday - Baby basics contest! 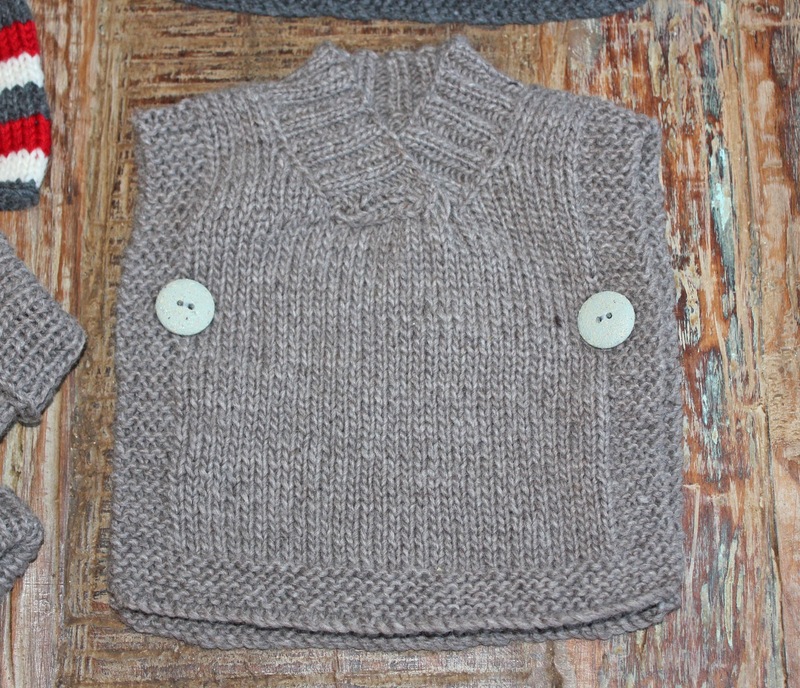 My Baby Basics e-book is now available from Ravelry and my website, I love being able to provide such an easy set for new and experienced knitters alike. Complex designs are well and good (very well and good!) but there are times when you find a design which contains all of the elements you require, with no tricks. 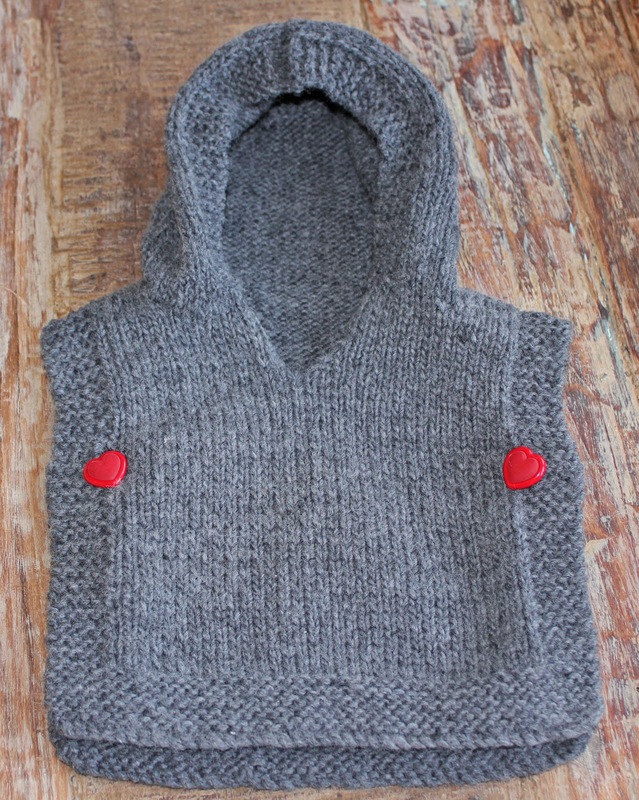 I made garments like these when Holly was a baby, because I was unexperienced but knew what I wanted, something that was easy on, kept baby's body warm and didn't have sleeves. I had completely forgotten about them until I saw a photo of her as a 6 week old wearing one...and snap, bang the collection threw itself together. However the problem with a collection "throwing itself together" is that sometimes you make mistakes, and I made a big one (this is why we have tech editors and test knitters - all of whom are worth their weight in merino) I used the wrong number as the stitch gauge when writing up the patterns...I have a feeling it is because I used another pattern as a template (now I have a dedicated template with NO numbers on it!) however the problem was discovered and remedied quickly and the sizes are spot on now. 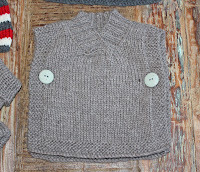 I love the look of the buttons facing forward to secure the garment, but you can use i-cord ties or ribbons if you wish. I also like the idea of working them up in lightweight cotton or bamboo yarns as beach cover ups for when it gets a bit breezy. I have 3 copies to give away, please leave a comment saying WHY you would like to win, with your Ravelry name (if you have one) if you aren't on Ravelry make sure you leave a name - anonymous isn't going to win! Winners will be drawn at random this friday. I am impressed with the very practical nature of these garments while looking very trendy. The sleeveless idea is also extremely practical and gets a lot more use. So easy to pop on small wriggly babies too! Thanks for yet another useful and trendy pattern! Cute as usual. I had thought these would be useful if I have another kid, but C would surely be too big--I wasn't thinking about how easy they would be for her to put on by herself, now that she is getting bigger and wants to do EVERYTHING on her own! Very cute as always. 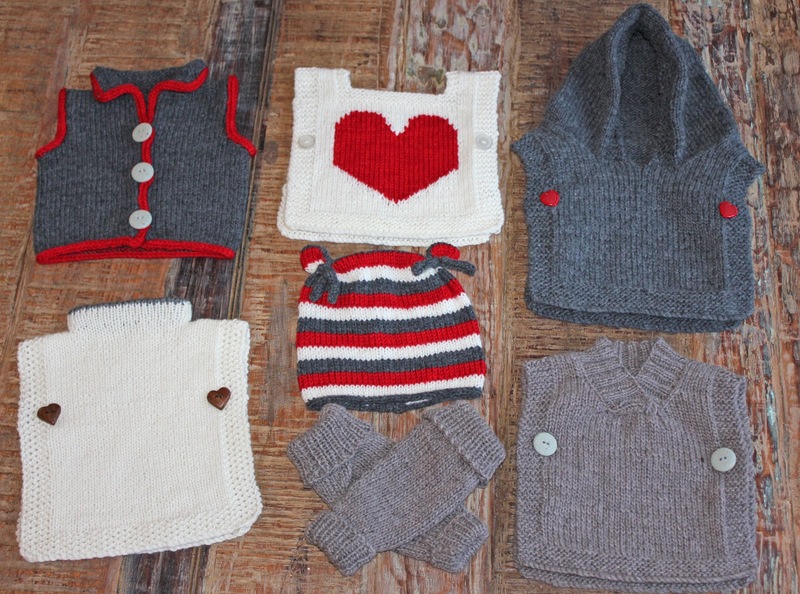 I would like to win as I always like to handknit something for new baby gifts and many of these patterns look like they would whip up in no time. For my own kids, I particularly like the look of the polar-fleece imitation vest - these are very practical for preschool (as there are no long sleeves to dip in paint!) but I would rather have wool than polar fleece any day. I would love to win so I could make those lovely patterns into garments for a set of twins I know. Their mother loves to show knitwear off. And I love to make it. Hi JustIne. I am going to be a grandmother for the first time next spring. The other grandmother doesn't knit, so I get the honour! I've already got a number of projects in our "Treasure Chest" all ready to go. This baby is going to be well outfitted! 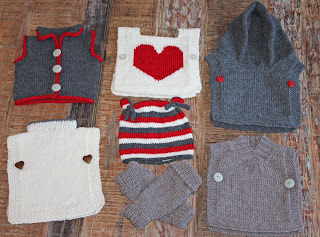 I would love to win a copy of these patterns, they are such gorgeous practical baby items! Would come in very handy for my son and the 3 friends who are having babies soon! Plus I absolutly love all the patterns of yours I've already knit! Like many of the previous commentors I love to give homemade knitted gifts for newborns. These all look so practical (I remember how hard it was to get tiny arms into sleeves). I also think that hat is one of the cutest I've seen recently. 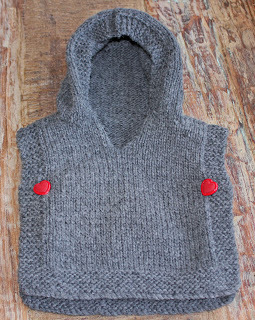 My friends baby hates sleeves and as a new mom she has been too busy to knit so it could be my *Auntie* gift to her. 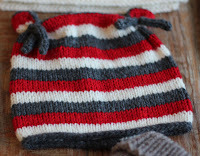 Already dreaming of what I will knit when (or if-- but hopefully when) the next baby comes along for me. 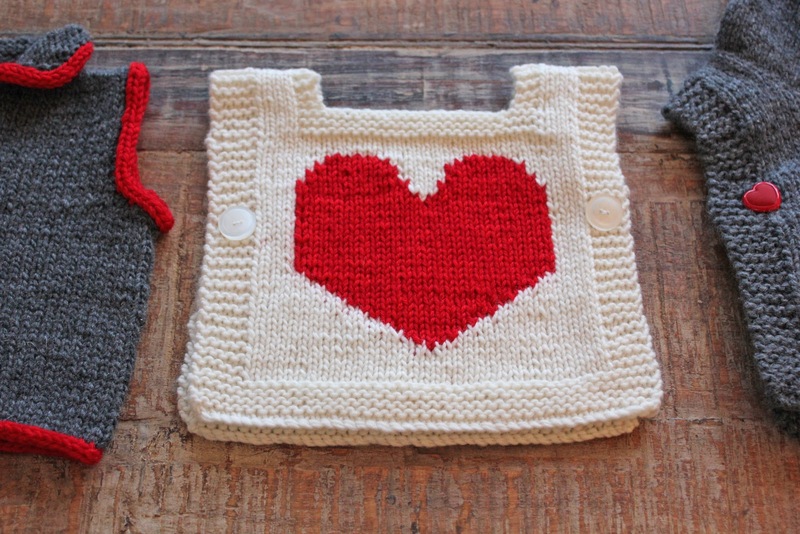 Can't be for a couple years so in the meantime I'll knit for other people's babies. Love how practical but cute everything in the set is. Thanks so much for the chance at this! 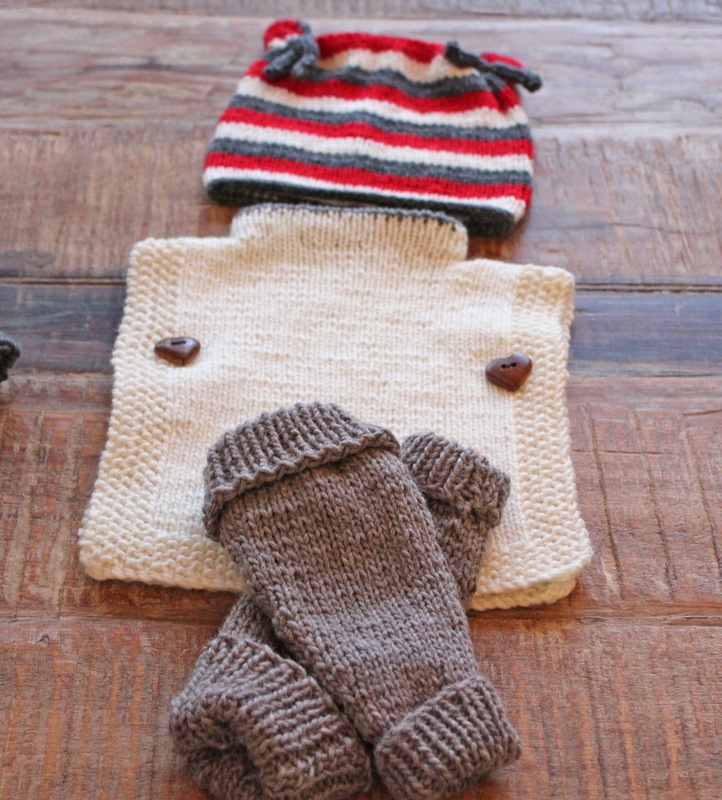 I love the pure simplicity of the patterns and the fact that they have been designed by a mother - someone who knows what it is like to dress a wriggly child but who also knows how important it still is for that wriggly child to be warm and comfortable. 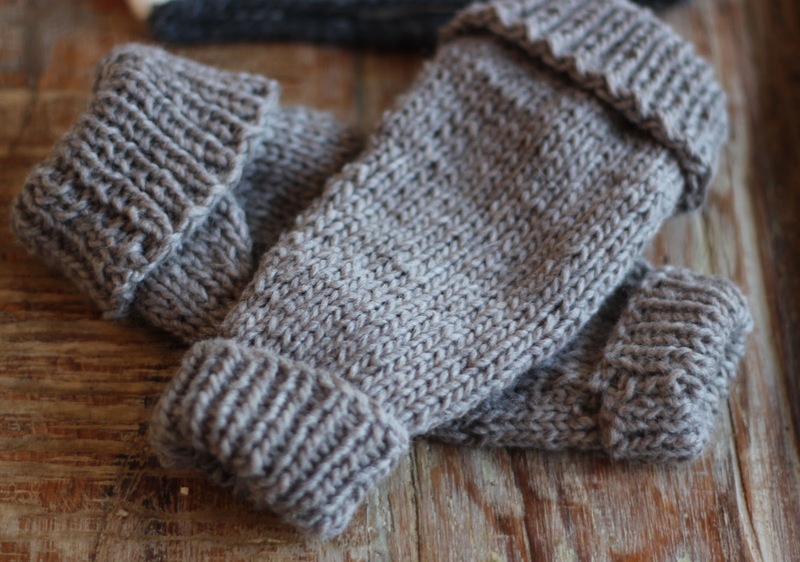 I would love to be able to knit these for my little Grandgirls and, indeed, there are always little kiddies popping up out of the woodwork in need of a little extra warmth! 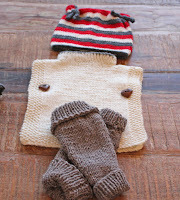 What a great set - so easy to mix and match for gender, size or colour. Would love to make it for the newest member of our family - a beautiful Aussie baby boy whose mother just happens to be a Kiwi!